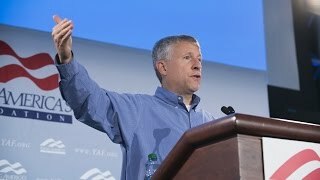 Dr. Paul Kengor is professor of political science at Grove City College, a four-year, private Christian liberal arts college located in Grove City, Pennsylvania. He is executive director of the Center for Vision & Values, a Grove City College think-tank and policy center. He is also a visiting fellow at the Hoover Institution on War, Revolution, and Peace at Stanford University. He has been quoted or published in most major publications from across the ideological spectrum: New York Times, USA Today, Los Angeles Times, Los Angeles Daily News, Washington Post, New York Post, National Review, Chronicle of Higher Education, San Francisco Chronicle, American Spectator, New York Newsday, Political Science Quarterly, Presidential Studies Quarterly, Washington Times, St. Louis Post-Dispatch, Boston Herald, Roll Call, Wall Street Journal, Associated Press, Philadelphia Inquirer, Christianity Today, World magazine, National Catholic Reporter, National Catholic Register, Our Sunday Visitor, the Jewish Press, Jewish World Review, International Herald Tribune, Manchester Union Leader, and others. Read his commentaries on Ronald Reagan here. He is the author of several major works on Ronald Reagan, including The Crusader: Ronald Reagan & the Fall of Communism, released in October 2006 (HarperCollins), which includes never-before-published documents from KGB archives, Soviet media archives, and numerous once secret but now declassified NSC, White House, and Reagan administration documents. The book is being translated into Polish, and the paperback rights have been purchased by HarperPerennial. He is also the author of God and Ronald Reagan (ReganBooks, HarperCollins, 2004), which made bestseller lists for The New York Times (extended list), Amazon.com, BarnesandNoble.com, and Christian Retailing, among others; the book reached #2 on Amazon’s non-fiction list. He is also the author of God and George W. Bush(ReganBooks, HarperCollins, 2004), which reached #5 on Amazon’s non-fiction list and made The New York Times’ extended bestseller list. He is co-editor with Peter Schweizer of Assessing the Reagan Presidency (Rowman-Littlefield, 2005) and has published a biography of former Reagan confidant and national security adviser William P. “Bill” Clark, Reagan’s so-called “right-hand man.” He has also written chapters or essays in books published by Oxford University Press, Columbia University Press, Palgrave-Macmillan, Lexington, and others. Kengor is a frequent contributor to MSNBC, C-SPAN, NPR, PCN-TV, and Fox News Channel. He has appeared on many TV shows, including “Hannity & Colmes,” “The O’Reilly Factor,” “Tony Snow Live,” “Fox & Friends,” the 700 Club, and “Scarborough Country.” He has done hundreds of radio-talk shows, including the shows of Sean Hannity, Diane Rehm (NPR-WDC), Michael Reagan, Warren Olney (NPR-LA), Glenn Beck, Janet Parshall’s America, Truths that Transform with D. James Kennedy, Dennis Praeger, Michael Medved, G. Gordon Liddy, Linda Chavez, Kresta in the Afternoon, Jim Quinn, Stand to Reason with Greg Koukl, and Laura Ingraham. Kengor is a frequent public speaker. His venues have included the National Presbyterian Church, the Reagan Library, the U.S. Capitol Building, the Commonwealth (Pennsylvania) Prayer Breakfast, the Heritage Foundation, Young America’s Foundation conferences, and the Gerald R. Ford Library, among many others. He has also spoken at many colleges, including the University of Virginia’s Miller Center, the College of William & Mary, the Ave Maria College School of Law (Ann Arbor, Michigan), Calvin College, Franciscan University, Regent University, Claremont McKenna College, Saint Vincent College, Patrick Henry College, the University of Pittsburgh, and more. Kengor has done work for a number of think tanks, including the Center for Strategic and International Studies and the Heritage Foundation, and has served on the editorial board of Presidential Studies Quarterly. He received his doctorate from the University of Pittsburgh’s Graduate School of Public and International Affairs and his master’s degree from American University’s School of International Service. Kengor, a native of Western Pennsylvania, lives with his wife Susan in Grove City, Pennsylvania, along with their children Paul, Mitch, Amanda, and Abigail.